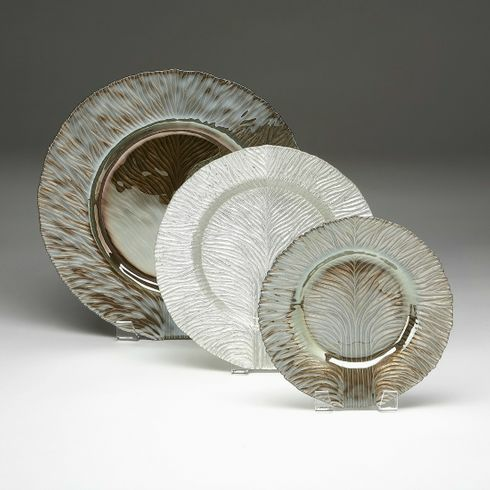 In the Catching Fire movie, our Tree of Life Plate was used in two scenes. The largest plate was used on the table setting as in picture showing most clear in front of Katniss. This color combination is perfect for both gold or silver color table settings.